I hope everyone's New Year is off to a great start. Today, I wanted to share some of my New Year's resolutions/goals. 1. Drink more H20 and less if not any coke! I have the worst skin and have started developing psoriasis over the past few years. 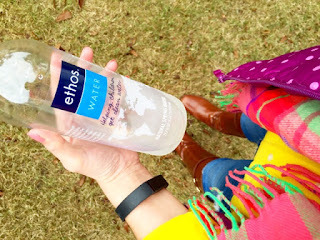 I keep seeing new spots pop up and know that I don't drink nearly enough water. I started off good last year but then quickly fell off the bandwagon so hopefully I can stick to it this year! 2. My next goal is also, related to my skin condition. It is to eat more whole foods and less processed food. In researching psoriasis, I have found that eating gluten can cause psoriasis so my goal is to slowly start cutting gluten out my diet. I know this will be a big change for me because this girl loves some bread so I plan on taking baby steps with this goal! I have also, been wanting to get this book for the longest time to help motivate me and give me tips on doing a Whole 30. 3. Exercise more! As I have gotten older, my metabolism has slowed down and my weight has unfortunately started to increase. I'm definitely not as fit as I used to be so I plan on joining a gym in the next few weeks. I need to start being more active and less of a couch potato! 4. Spend more time in God's word and grow in my faith. I try to attend church regularly but sometimes I feel like I'm just going through the motions and not reaping the full benefits. This year I want to spend at least 30 minutes studying the bible and/or doing a devotional. 5. Save more/spend less! 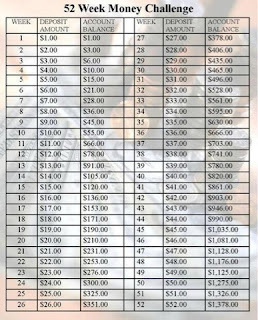 I think this is self-explanatory but I've seen that weekly saving guide (seen below) floating around the internet over the past few years and have started doing it but never followed through. I'm hoping to stick to it this year. 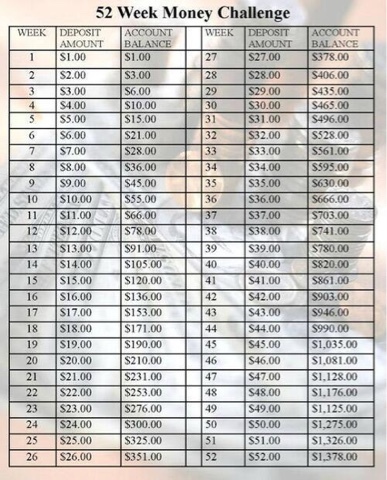 I also, read where someone recommended doing it in reverse which I think is great because when it gets closer to the holidays the amount you save will be less and will leave more money in the budget for buying those Christmas gifts! 6. My last but definitely not least is to be more committed to this little blog of mine. I can lack self-confidence at times which causes me to get discouraged when it comes to doing blog posts. I know I shouldn't do this but I look at other blogs and think that mine will never amount to anything and that mine will just get lost amongst the mix! I need to get out of that mindset and just concentrate on mine! I would love to here what kind of New Year's resolutions/goals that you are setting for this year! I hope that this year proves to be a great one for you! I found this New Year's prayer online and fell in love with it! Thanks so much for stopping by! 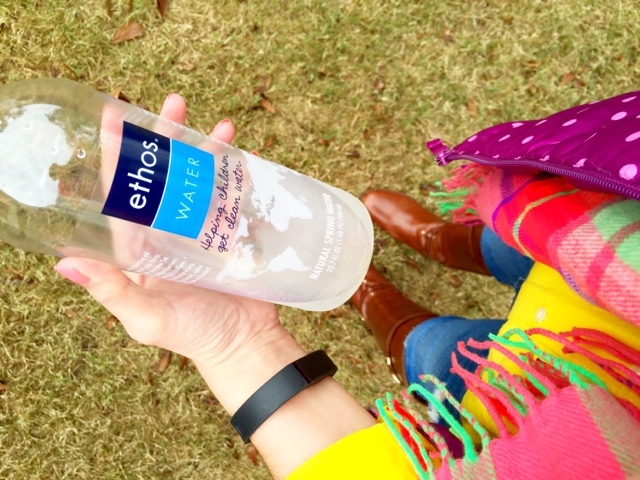 Cheers to an amazing 2016!